It’s not every day that Schiphol and GroenLinks see eye to eye about something. I wholeheartedly agree with Nijhuis. Flying to a Spanish costa for a couple of tenners may be very attractive but it pollutes the air and contributes to climate change. Fine particulates and noise pollutions plague those living near airports. There is a good case to be made for environmentally friendly alternatives for short flights. The aviation sector has been heavily subsidised by the state for years. Airlines profit from fiscal perks, such as an exemption from VAT and tax on kerosene. Only a very small part of the huge social costs of air travel is reflected in the price of the ticket. Passengers pay a pittance for flights at low-coast airlines but all tax payers are paying for the pollution and other negative consequences for public health and the climate. 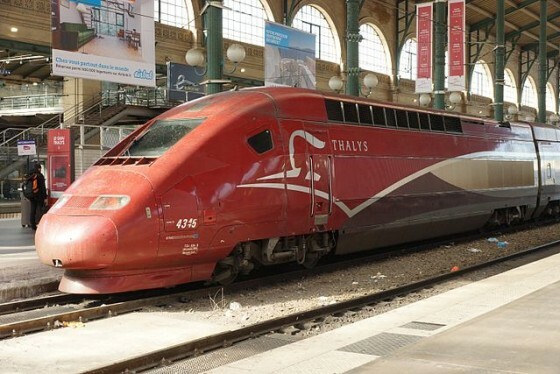 There is an excellent alternative for short-haul flights: the (international) train. Most European destinations, such as Paris, London and Berlin, can be easily reached by train. Within a radius of 850 kilometres, short flights, including checking in time and waiting around, will not be quicker. The effect on the climate would be enormous: a passenger on a train to Paris will produce about 8 kilograms of the global warming agent carbon dioxide. Were he to make the same journey on a plane he would produce 75 kilograms. Train travel is still falling short compared to flying when it comes to pricing and service. That must change, especially for European short-haul flights. Schiphol Airport, airlines, Dutch Rail and junior infrastructure minister Sharon Dijksma must combine their efforts to make international rail travel more competitive and attractive. The Netherlands has an excellent high speed network which has been sorely neglected in the wake of the Fyra debacle. But the presence of a high speed network is not enough. Rail travel will have to be competitive both in price and service. Airlines will send your suitcase on to a connecting flight and in case of a delay your flight is rebooked. You can book connecting flights in a single booking. A flight-train combination doesn’t include this service. In order to book an international train journey online you have to google for hours. What we need are reliable, frequent connections, including during the night. This means international night trains need to be brought back. But first and foremost train travel should always be cheaper than short-haul flights. This can be achieved by incorporating the real cost in an airline ticket. Only then can train companies and airlines compete in a level playing field where trains can be considered a serious alternative to planes. Schiphol can become a true green airport if CEO Nijhuis joins forces with GroenLinks to replace short-haul flights with affordable and comfortable train travel.